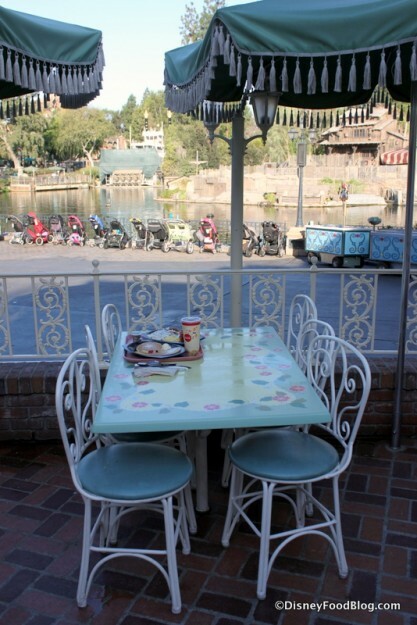 Breakfast is BACK at Disneyland’s River Belle Terrace! 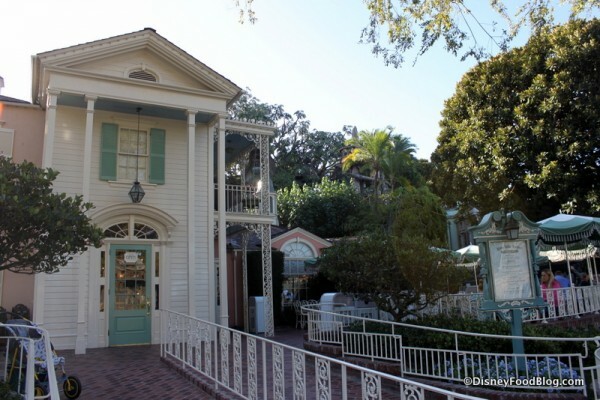 It was quite a loss — to me and many, many others — when River Belle Terrace stopped serving breakfast in early 2016. The removal took place when the spot transitioned from Counter Service to Table Service and started to serve lunch and dinner only. But now, breakfast is back! 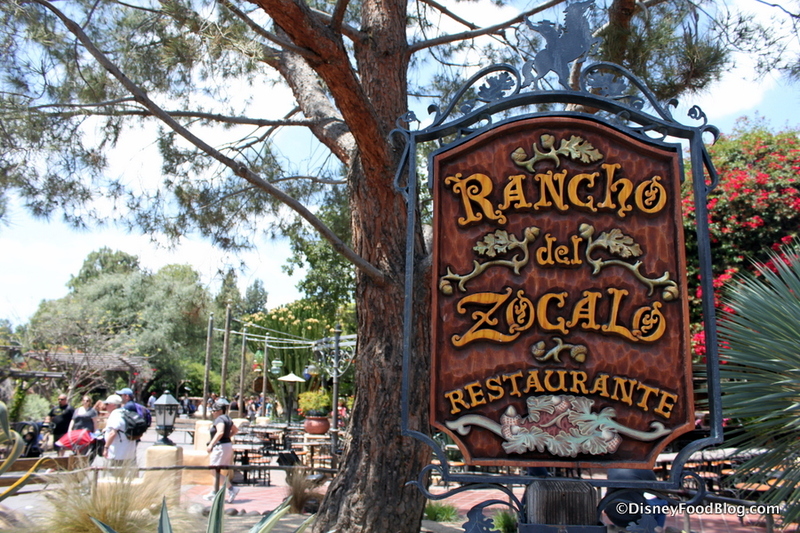 It’s time for breakfast in Disneyland — Rancho del Zocalo style! This beautiful restaurant — and I mean seriously, it’s gorgeous — is situated in Frontierland, where all things rough and rowdy reign supreme. But step into this colorful corner, and you’re surrounded by cheerful warmth and bright colors. And let’s not forget the food! In late November it was announced that a big change was coming to River Belle Terrace, a Disneyland dining favorite. Editor’s Note: River Belle Terrace no longer serves breakfast as of February 10, 2016, and is now a table service restaurant for lunch and dinner. You’re in the Happiest Place on Earth — Disneyland!! 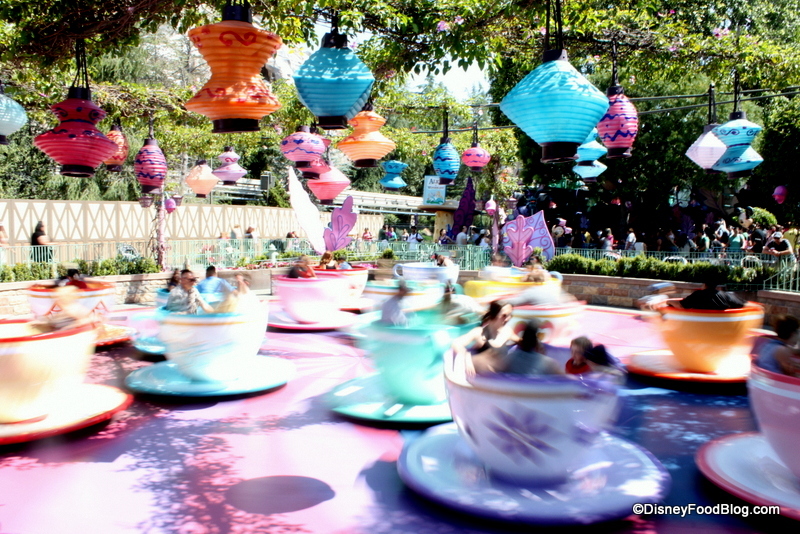 And you’re ready to kick off a fun-filled day of park touring, thrills, and lots of character interaction. These are the streets that Walt himself walked, the Park that started them all! But how do you ensure that your day gets off to a great start? By kicking it off with the most important meal of the day! There are tons of iconic snacks and delicious meals that we love to enjoy every time we visit Disneyland. But there are also some terrific breakfast options, too. Today, we’ll take a closer look at some of our favorites. 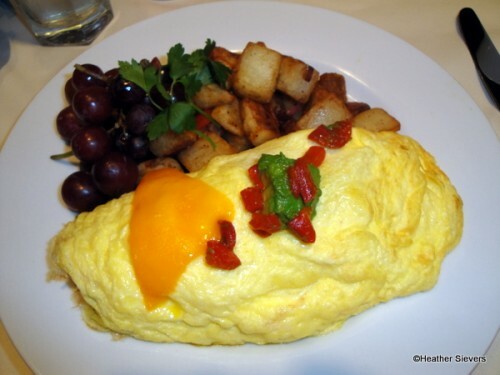 If it’s a leisurely, sit-down breakfast you’re looking forward to, you can’t go wrong with Steakhouse 55. 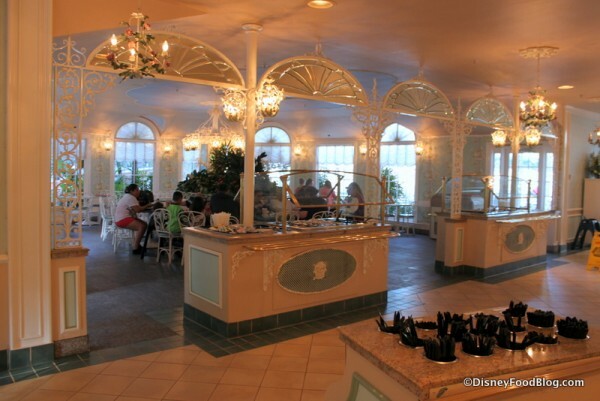 Located in Disneyland Hotel, this restaurant has been around nearly as long as the Park itself. 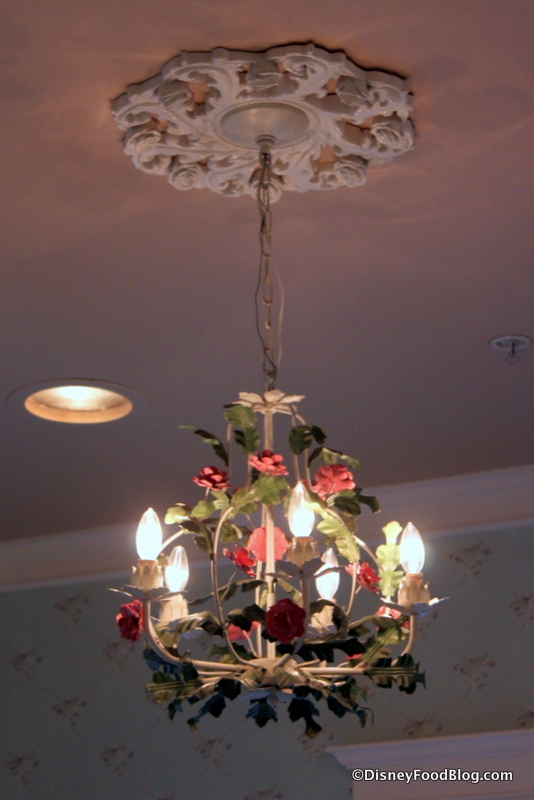 It offers a quiet and elegant way to start off a day of Disney fun. Sometimes, I really love the option to fill up on a big breakfast, and then snack or eat lightly through the rest of the day. 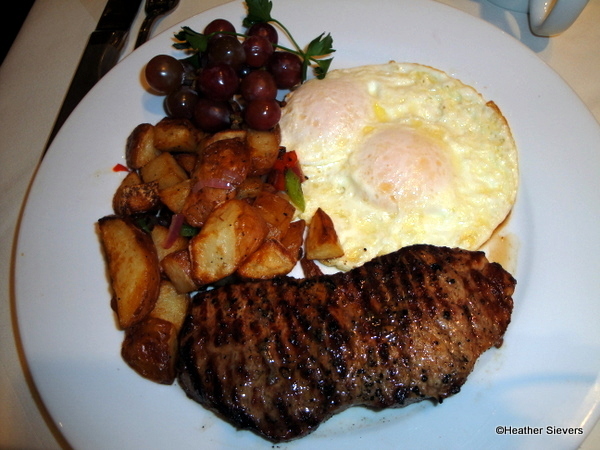 And there’s a no more luxurious morning splurge than a beautifully cooked plate of New York Steak and Eggs! You can also customize your breakfast a bit and Build Your Own Omelette. Choose three from a list of fillings to make your breakfast totally unique. Add some of those delicious Roasted Potatoes, and you’ll be fueled up for hours of Disney fun. Other times, my first priority is to get into the Parks super early, and then find a bite to eat. After all, there’s something truly magical about being one the of the first people in! When I’m more interested in touring than spending precious time waiting for my order to arrive, I head to River Belle Terrace. And actually, there are two reasons that this is one of my favorite Disneyland breakfast spots. First off, the patio area offers gorgeous views of the Rivers of America. For me, this is such a serene way to start my day. Although it’s a counter service spot, this isn’t food that you eat on the go. Comforting options like Biscuits and Gravy demand that you stop long enough to enjoy your meal. 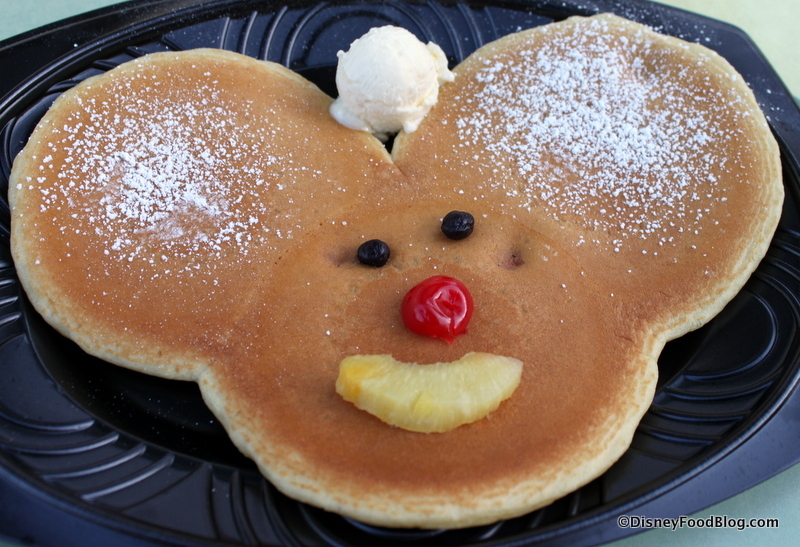 Of course, you can’t enjoy breakfast here without at least one Mickey Pancake! Enjoying one while watching for the Mark Twain Riverboat to paddle by is Disney Bucket List stuff! On a recent trip to Disneyland, we had many things to cross off of our list. 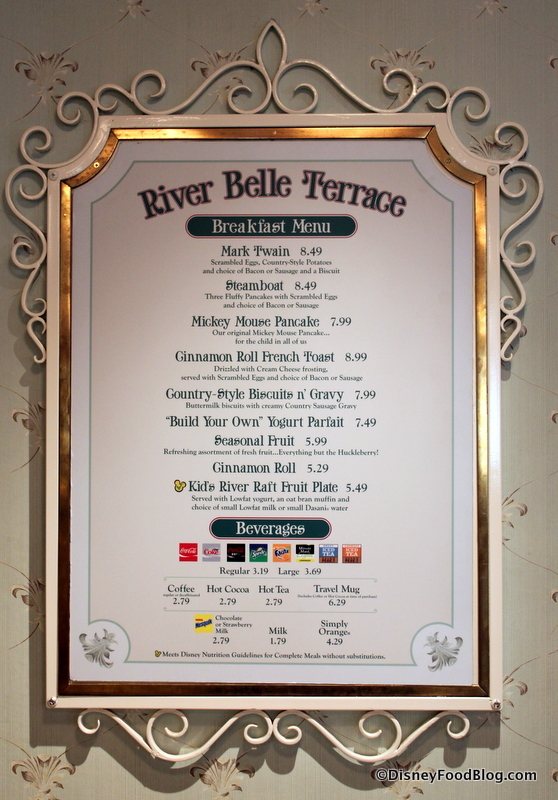 But when it came time for breakfast in the Park one morning, only one stop would do — River Belle Terrace! You’ll find this counter service spot in Frontierland along the Rivers of America. And that last bit of information is important. 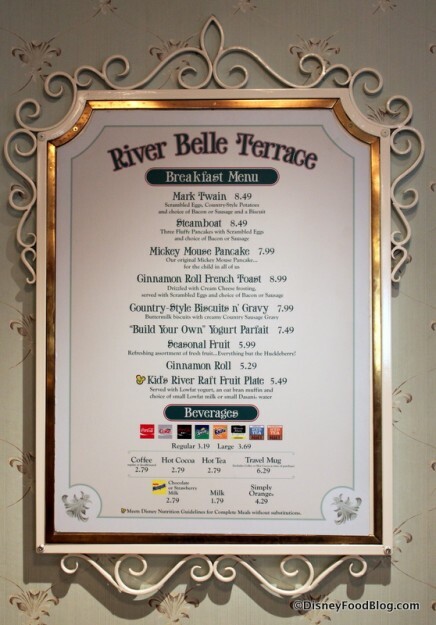 After all, you may come to River Belle Terrace because you’re hungry, but it has more to recommend it than the menu. Here we go! 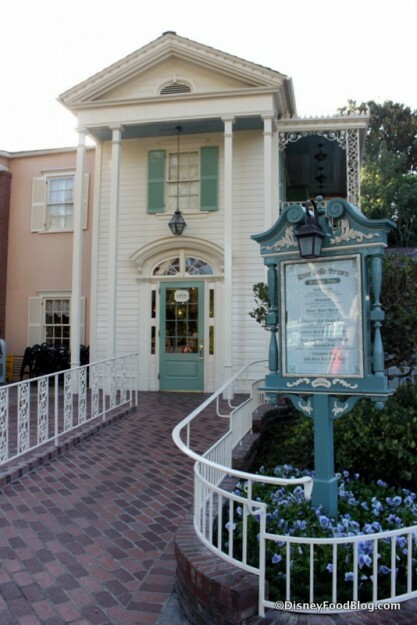 Located in New Orleans Square, the aesthetic of River Belle Terrace is Antebellum all the way. The entrance is fashioned to look like a grand Southern mansion on a small scale. Step inside, and you see gracious touches that echo that feeling. Arched windows allow plenty of light into the seating area, so even if you choose to dine inside, you’ll still have the sense of being in an outdoor garden setting. Ornate ceiling medallions and flowering vines on the chandeliers fancy up the spot a bit. And keep this in mind: it may not look all that interesting or distinguished, but River Belle Terrace deserves a pause in your Disney Day. This restaurant has been serving since Disneyland opened in 1955! 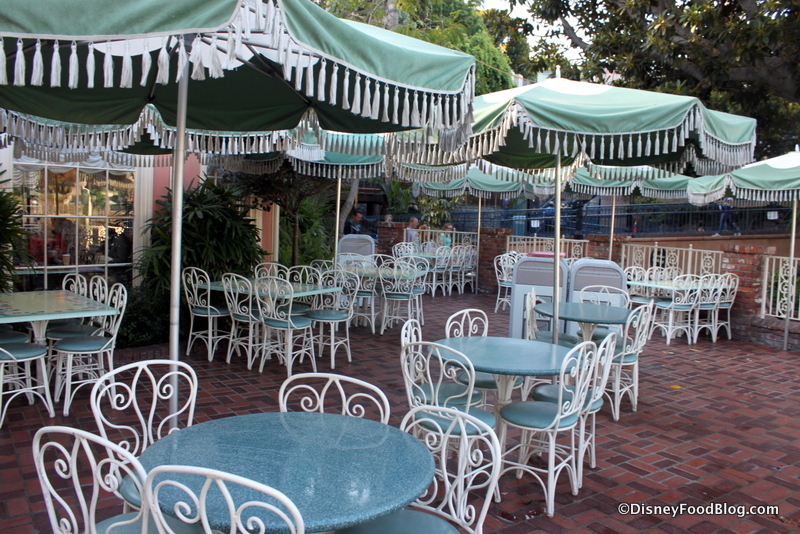 As the story goes, you could find Mr. Disney enjoying breakfast here often on serene Sunday mornings. 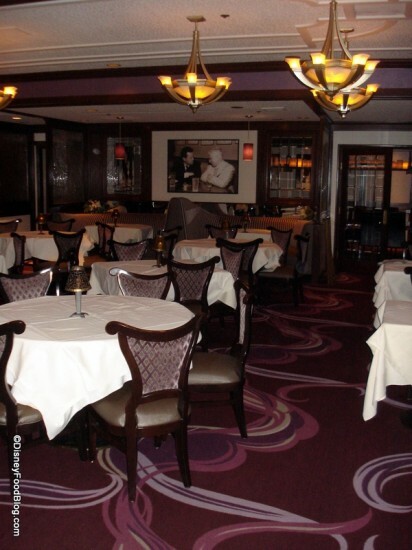 While the indoor seating is pleasant, it’s the terrace that is truly beloved by so many. Don’t you love the old-fashioned, tasseled umbrellas? They could have updated them and used something modern, but they haven’t. And I’m so glad. And this — this view. It’s why you come to River Belle Terrace. Eat your breakfast and watch for the Mark Twain Riverboat to paddle by. There’s nothing like this view of the Rivers of America, and if you can enjoy a classic Disneyland breakfast at the same time, it’s a win/win! Speaking of classic Disneyland breakfasts, it seems like the right time to move on to the food. 🙂 Let’s check it out. Although River Belle Terrace offers all-day dining, it’s breakfast that we usually enjoy here. In addition to some standard offerings, you’ll find comfort food favorites like Biscuits and Gravy. But there are some really unique options, too. We’ll get to a couple of my favorites in just a moment.